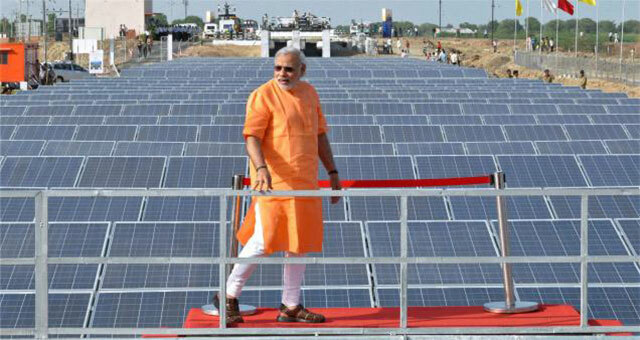 India has planned to announce 40 GW of renewable energy projects for each year continuing over the next decade. The 40 GW power projects will comprise 30 GW in solar energy and 10 GW in wind till 2028. The country recently enhanced its renewable energy target, and now further fortifying its plan is ready to announce huge auctions for the same commencing this year itself. Though tariff base reverse auction is a better way of competing since it reveals the best possible pricing, the ministry is brainstorming about close envelop auction and reverse bidding method as small developers fret about being sidelined by the bigger players in auctioning for the renewable projects. The ministry will also consider the financial viability of these projects, so as to avoid them from turning into non-performing assets over time. You might also like to read about Gujarat’s ‘Wind-Solar Hybrid Power Policy-2018? India is, therefore, looking at 500 GW of renewable energy capacity by 2030, including 350 GW of solar and 140 GW of wind energy. However, it is important to incorporate other dimensions such as storage and offshore components in these projects. The country already achieved 70 GW of renewable energy capacity last year. In a bid to improve the state of manufacturing in India, the country had also announced solar projects coupled with manufacturing component recently. The Power Minister has expressed confidence in strengthening the domestic market as well as storage industry in India steadily over the coming years. Though India has ambitious plans to support its renewable energy industry, it has only installed 22 GW of solar and 34 GW of wind to date. It still has a long way to go before achieving the said target. Though the plans look great on paper, the ministry should make sure the easy implementation and clarity of policies. On the one hand, it is promoting manufacturing in the country, while on the other there is no safeguards duty to protect the same.